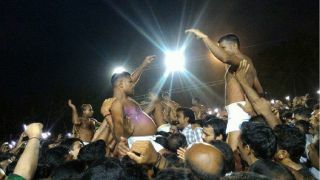 Sri Mavilakkavu temple in Kannur is famous for its unique festival rituals - one among these rituals is the 'Adi' Utsavam and the other ‘Avilkoodu eriyal’. 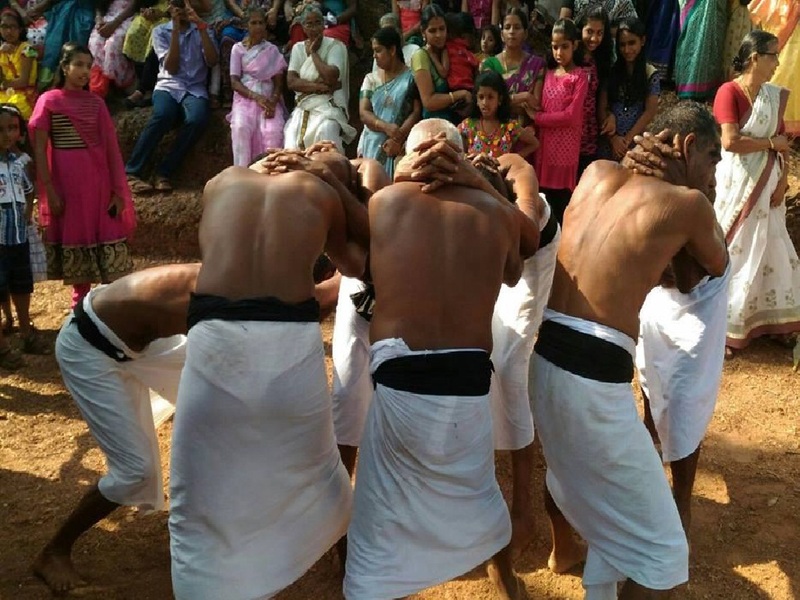 The festival of Mavilakkavu recaptures part of the thrilling martial art legacy of Kerala. 'Adi’ - held as an offering to the presiding deity - Lord Lakshmana, in which pairs of men, who after observing purification of the mind and body, seated on the shoulders of healthy youngsters hit each other. The large gatherings on both sides shout and cheer for each blow by their men. 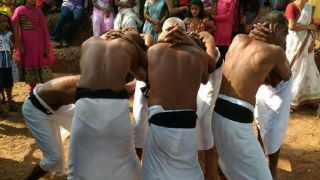 This festival is celebrated on 2nd and 4th of the Malayalam month of Medam, corresponding to Mid April. The first day of the festival will have the ritual art form of 'Thidambu Nirtham' and rest of the days Kalamezhuthum Pattu and Theyyam of 'Daivathaar’ and 'Vettakkorumakan' will be held in the temple premises. 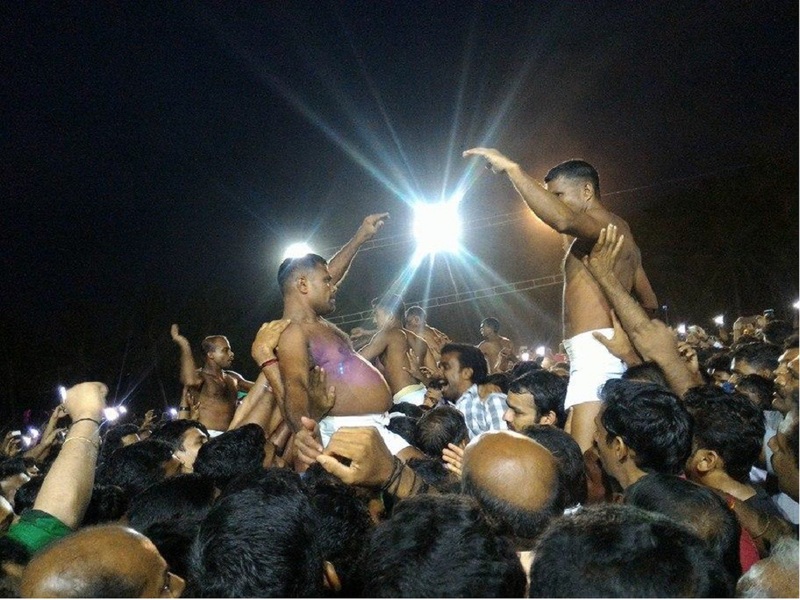 The festival ends with the mudi ceremony, in which a devotee, after observing abstinence for several days, dance in trance wearing the huge headgear and enthralls the audience.